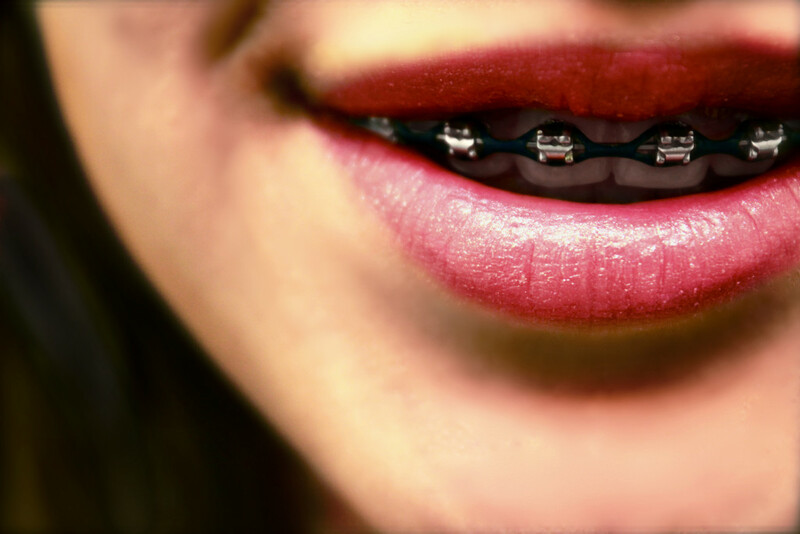 If you’re wearing braces, it’s probably to improve your smile. Braces are an investment of both time and money, so it’s critical to take care of your teeth during your orthodontic treatment to ensure that when your braces are removed your teeth are not only straight, but most importantly, healthy. There’s no sense in wearing braces for months, sometimes years, just to end up with cavities because you didn’t take good care of your teeth. It’s true, wearing braces can make brushing and flossing more difficult. However, because braces have a tendency to trap food in between teeth, it’s even more important to take extra special care of your pearly whites. Below are several helpful tips to make cleaning your teeth while wearing braces a cinch! Brushing: You should brush your teeth at least three times a day, after each meal, to remove the cavity-causing bacteria that accumulate in your mouth and on your teeth. Before brushing, be sure to remove any accessories, such as elastic bands, from your mouth. Use a soft bristled toothbrush and a pea-size amount of fluoride toothpaste to brush your teeth for a total of two minutes. Brush firmly enough to feel the bristles along the gums, but not so hard that the bristles are being squashed. Flossing: Traditional flossing can be particularly challenging when you’re wearing braces, but it is important to do after brushing at night! There are several flossing products such as floss threaders that are designed to make flossing easier for patients with braces. Talk to your orthodontist to see if he or she is able to provide you with any products to aid in the flossing process. After Meals: Use an interdental toothbrush after eating. Simply insert the pipe cleaner-like tip of the special brush underneath the wires of your braces to remove any food that may be stuck in your braces. • Swish with anti-bacterial mouthwash to help to keep your mouth clean and fresh. •Save whitening products for use after you get your braces taken off. You don’t want to get your braces removed to discover that your teeth have yellow squares where the braces blocked the whitening agent from working! • Cut down on your sugar intake to reduce your risk for cavities. Keeping your teeth clean while you’re wearing braces doesn’t have to be a chore. Just be sure to be thorough and consistent with your brushing and flossing, and your smile should be in great shape by the time you get your braces removed! Andrew W. Skorobatckyj, DDS, is an AcceleDent provider in Parma, OH, with more than ten years’ experience in orthodontics. Dr. Skorobatchkyj provides professional, personalized care and utilizes the latest in orthodontic technology. Learn more at skororthodontics.com.